Browning Auto 5, switch safety? I️ picked up a Browning Auto 5 light Twelve from this forum over the summer and finally got around to shooting it yesterday. The safety is backwards? I have to push to fire from the left side, it really threw me off. Can this be swapped? Easy to do if I buy the Browning Screw driver set and a safety? If you mean to disengage the safety, you have to press from the left side of the gun to be able to fire, mine is the same way. I believe that is normal. 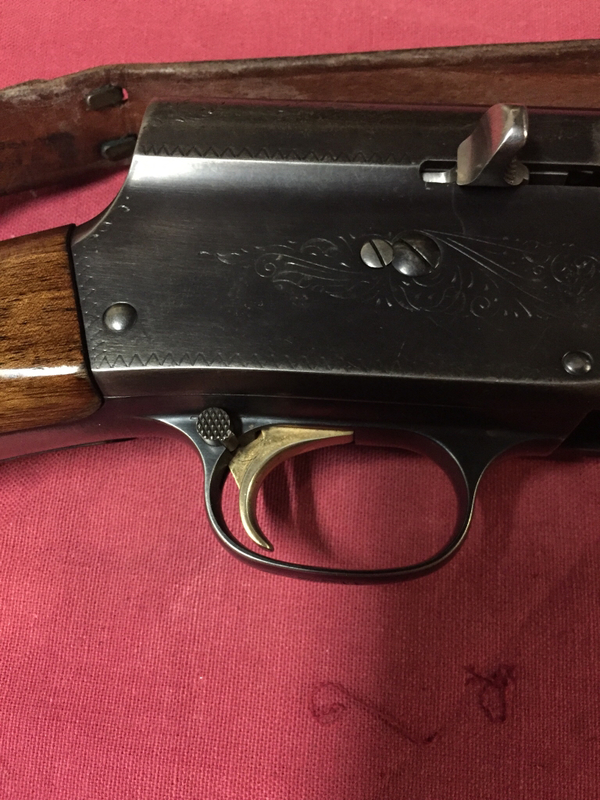 Older ones had the "suicide safety" at the front of the trigger guard. Page 9 of the owners manual says, "The safety is reversible and can be reversed from right to left-handed by a competent gunsmith." I have never tried it myself, I just happened to see that in the owner's manual when I was adjusting the rings and brakes my Auto-5 slug gun. I shoot them but I don't disassemble them because I don't want to be that guy walking into the gun shop with a bunch of parts in a bag. 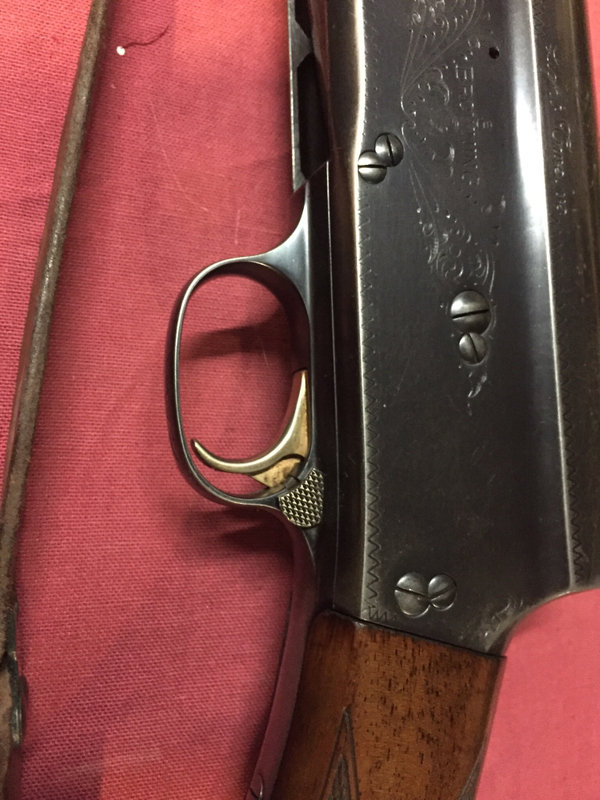 The Original safety that came with my Browning was a left handed safety. They are not reversible but I was able to find a right handed original Browning safety on Ebay for about $12. I disassembled the gun completely last week prior to going on vacation and was a bit concerned I was in over my head. There are a lot of parts!! The plunger cracked when I took it apart and the action spring was rusted so I decided to replace those parts with OEM parts as well as an OEM recoil spring all from Numrich. I had some issues when I took the gun to Kansas last fall for Quail and Pheasant and I had some failures so I wanted to make sure I cleaned it well and replaced worn parts. I was shooting heavier loads and had that setting on the shotty but would switch to lighter quail loads and found issues there. May not be the best dual purpose gun but we will see how it reacts now. Anyway, I got it all completely cleaned up, oiled and reassembled so I hope to take it out for trap soon to see how it does. If anyone is in need of a left handed safety......I know a guy! I remember seeing Browning's with the safety reversed and always wondered why with the ejection port on the right. A;ways a good idea to replace the action spring when they're apart especially on an old one. Just make sure you take the right screw out. The trigger mechanism in an AR always reminded me of the one in a Browning for some reason. My safety on my Auto 5 is definitely on the right, but the checkering on the curved edge tore up my trigger finger, so I took it apart and used a Dremel to smooth up the first row of the checkering. Not it is perfect.